Looking to get to know the freshest new spots in the Western Addition? From a high-end Japanese spot to a place for frozen desserts, read on for a list of the newest spots to debut in this part of San Francisco. Oma is an eight-seat sushi bar. Three omakase, or chef's choice, options are available: choose from five, eight or 12 pieces of nigiri, each accompanied by one temaki roll. 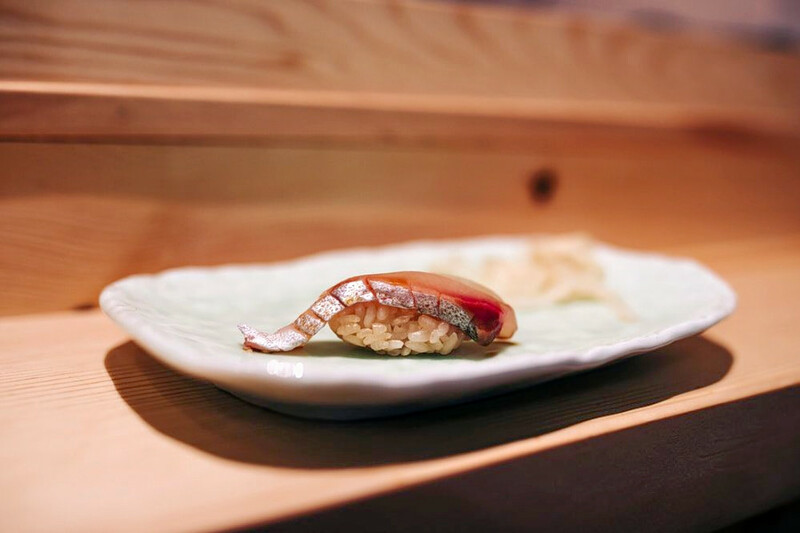 Diners can add on to their meal with daily nigiri offerings like wild sardines, sesame mackerel, red snapper, black fin tuna belly, young yellowtail, sea urchin, octopus legs and salmon roe. Pair your meal with sake and Japanese beer. Yelp users are excited about Oma, which currently holds 4.5 stars out of 25 reviews on the site. Jiajia C. noted, " So happy to see the return of Chef Wilson! The sushi and its seasoning pairing are as amazing as I remember, and the unique setup has led us to chat with our neighbors at the sushi bar. It's both intimate (8 seats in total) and open in public (sandwiched against the wall between shops in the mall), with one of the best omakase meals one can expect." 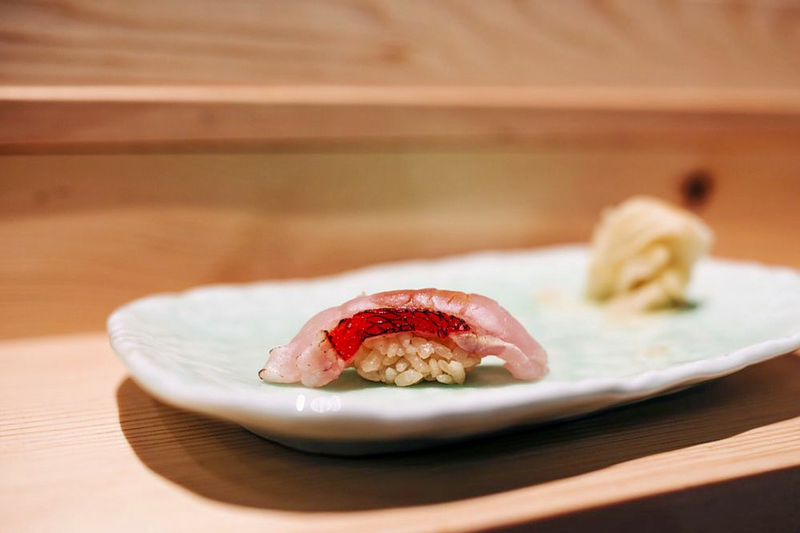 Yelper Connie C. wrote, "Delicious omakase with a flair! Really unique combinations and flavor accents, like gold flakes, herbs, foie gras, etc. on traditional sushi. Small station, but great chefs." 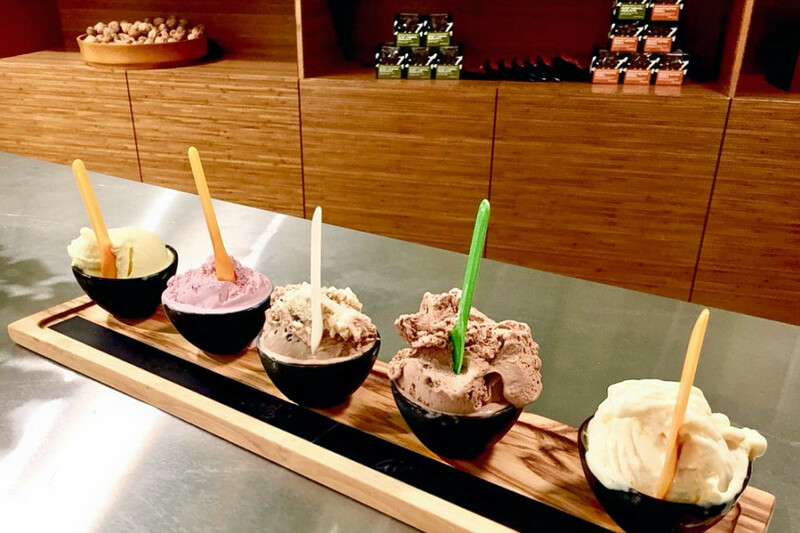 Philmore Creamery is a spot to score gelato and other frozen treats. While flavors rotate constantly, past options have included white chocolate crunch, hazelnut, coconut mint chip, almond, banana cream and more. Vegan selections like chocolate sorbetto, cantaloupe sorbetto and lime pear sorbetto are also available. With a five-star rating out of 79 reviews on Yelp, Philmore Creamery has been getting positive attention. Yelper Charles L., who reviewed Philmore Creamery on August 8, wrote, "Philmore Creamery is family-owned and they make everything locally in-house. They've only been open a few months, but they've been perfecting their recipes for years and it shows. I basically tried every flavor, and they were all so good. The sorbettos were particularly noteworthy for their consistency and texture." Allie L. noted, "Honestly, no wrong choices here, but there are definitely combos that work better together. I went with hazelnut and banana raisin rum to knock out my Nutella craving, but I was torn about which ones I really wanted, because they were all so good." 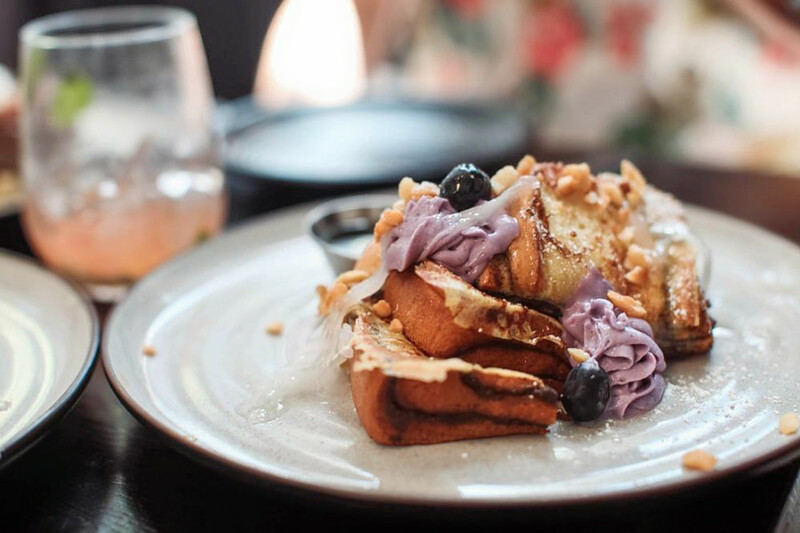 1608 Bistro is a Filipino-meets-French brunch spot that also offers brunch. According to the website, owner Jenem was born in Manila, Philippines and moved to San Francisco when he was 7 years old. He graduated from culinary school at the age of 21, and went on to become the executive chef of a small Huntington Beach restaurant before he started 1608 Bistro. Menu options include adobo pork bao, sisig banh mi, ube French toast and pandan pancakes. Yelp users are excited about 1608 Bistro, which currently holds 4.5 stars out of 56 reviews on the site. Nova P. noted, "1608 Bistro has a fluid menu, using local ingredients and Filipino cuisine influenced with thoughtful presentation. I was really excited to experience the twist on home-cooked meals that I grew up with. Do make reservations. It's a pretty small bistro with a limited number of tables." Yelper Jwest M. wrote, "A lovely combination of Californian and Asian flavors. Stop by if you're in the neighborhood. It's quite good. Nothing is overdone and the attention to culinary detail is just right." The Bar at Hotel Kabuki is a new cocktail lounge in Japantown's recently revamped hotel, serving up drinks like the Kyoto Libre (Iwai whisky, yuzu and Mexican Coke) and the Madame Chou (tequila, butterfly pea flower tea, grapefruit soda and lime). Japanese whisky flights are also available. Bar bites include edamame with szechuan peppercorns, sesame seeds and ginger; cucumber salads and soba noodle salads; braised short rib wraps; chicken katsu sliders and veggie tempura. The Bar at Hotel Kabuki currently holds four stars out of 14 reviews on Yelp, indicating good reviews. 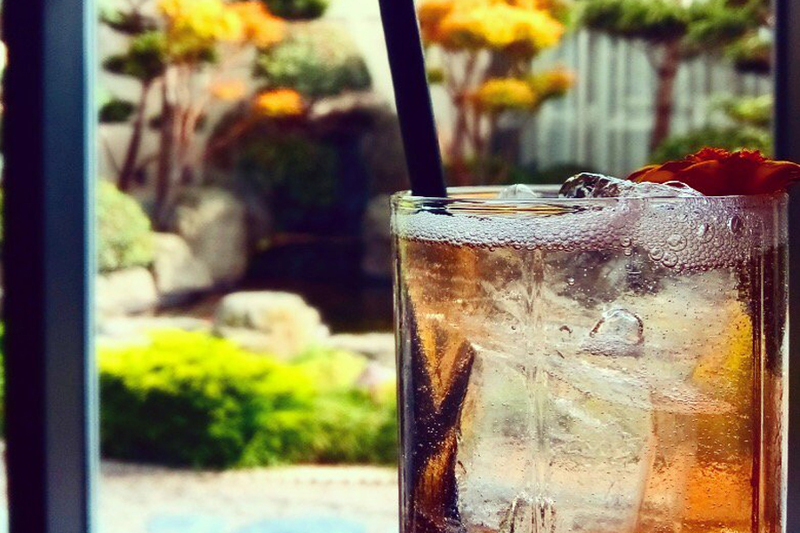 Yelper Rebekah W., who reviewed The Bar at Hotel Kabuki on August 8, wrote, "Loved my experience here. The waitress was super helpful in providing advice on Japanese whisky. The flight of whiskies I got was super adorable, served in really nice glasses and on a cute platform. The decor was very peaceful and rustic!" Peter L. noted, "Their nice decor and atmosphere prevent it from feeling like a dowdy hotel bar. We tried a few cocktails and they were okay, not bad. Speaking of which, I must return to try the bar's food menu, as it looked pretty good." The Bar at Hotel Kabuki is open from 4 p.m.-11 p.m. from Monday-Thursday and Sunday and 4 p.m.-midnight on Friday and Saturday.